Top 5 Android Apps – Be Mobile with BMOB.com! Google’s open source operating system for mobile smartphones, Android has given rise to several innovative and a lot of the time, useful applications for the platform. With the platform being easily available for anyone, a lot of developers have come up with applications some of which are plain fun and others really add value to the phone. From among the ocean of applications, here are the ones that really stand out. This app is futuristic enough for you to have seen it in sci-fi movies. The fundamental objective of this app is visual search. Click an image and it provides with the results in order of relevance that it finds over the internet. For example, when you click a logo, it will take you to the website of the brand or a search relating to the product of the band that you just clicked. 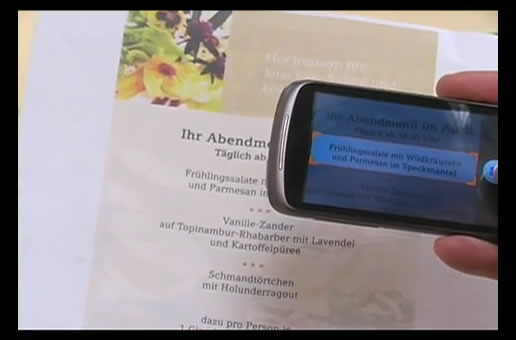 The most practical feature of this application is its ability to translate text. If you click the image of a signboard or a notice in a foreign language, it translates it into the language of your choice and you don’t even need to know what language the image is in. As of now, the database is rather limited but eventually, it will be able to hopefully search for pretty much everything on the planet. The night sky is filled with stars and constellations on a good day and you can even see planets on an even better day. There are only so many that you can know and if you wish to know more constellations, pull out your Android phone and point it at the sky and turn on Google Sky Map. 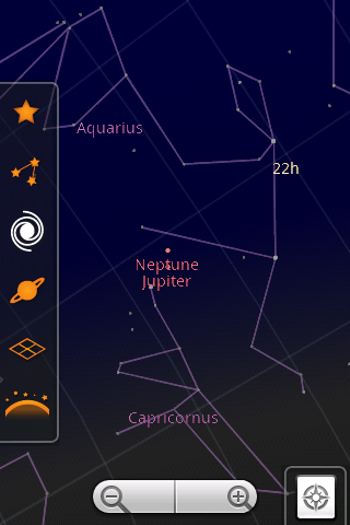 It works on the compass that is built into Android phones and gives you the names of constellations, planets and stars. Of course, there is always the possibility that you could point at the ground and get the name of a star but that is what a person on the exact opposite of the earth would be looking at! 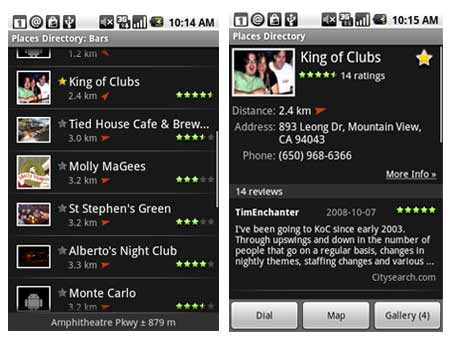 With the Places Directory app on your Android phone, use the smartphone to find any shop, restaurant, gas station etc near your current location. The app searches the internet and through Google Local finds business information and provides you a list of whatever you’ve searched for. This app is ideal for saving gas when driving and walking less if you are on foot. The app combines the best of GPS and other location services to deliver personalized options for everyday activities like filling gas and eating out. This application is proof that the best on a Google phone doesn’t necessarily have to come from Google. If Google Goggles does visual search, this does audio searches and all it needs is fifteen seconds of the song or music. Let your phone record the song for fifteen seconds and the app will retrieve the song’s name, artist and other information in a couple of seconds. 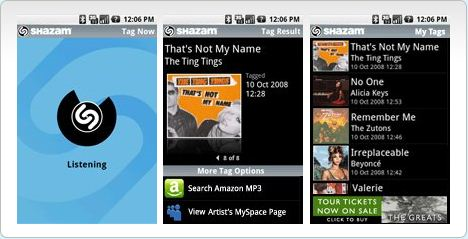 Shazam is quite effective and our tests revealed that it can identify a song even when it is played on the loudspeaker of a substandard mobile phone. All Android phones have one common shortcoming; the camera interface. It is sluggish and the picture quality isn’t that great. 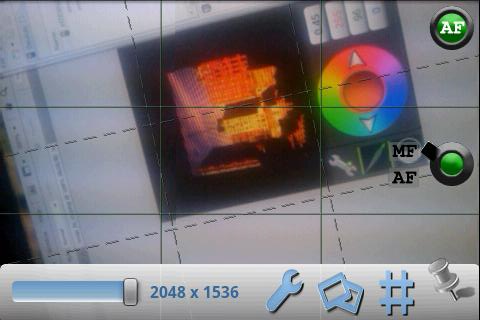 Install FxCamera to see the true potential of your phone’s camera. The interface is smooth and the settings and controls are robust and give you the feel of using a true camera. In addition, there are some effects and personalization options that let you modify your photos to your suiting. The Android Market is filled with apps that range from barcode readers to bubblewrap games. Some of them really boost up your phone while others are merely for fun. Since most of them are free, play around with as many apps as you can to understand the true capabilities of your phone.